Reach Out Who & Why – The Story So Far. In 2005 Pete Nicoll set up a programme within a Buddhist Organisation to feed the poor on the streets of KL. Why? Because it had to be done. The poor were neglected and hungry. The idea was to have this organization open to all races, religions and gender. Feexa Nicoll was the first Muslim volunteer in this organization and with her came many friends to the cause. However, Pete and co founders Maple Keh and Bob Teasdale discovered a possible missallocation of funds donated for feeding the homeless being distributed to the Buddhist Society and not to the Soup Kitchen by other members of the organisation and immediately resigned. The following day Pete, Bob, Feexa and Maple, bought food and water and continued on their own under an organization called Lotus Planet. With help from friends food sponsorship and street volunteers increased so that from an original 80 packets of food being delivered only on a Saturday, they managed to operate three days a week and delivered over 400 packets to those in need. Lotus Planet packed the food on the streets, (in the car park outside the SEC, on the pavement outside Bangkok Bank, outside a bookshop near to Petaling Street), and in all weathers. When it rained they packed inside their cars. Bob resigned due to business commitments and the organization was renamed Reach Org Sdn Bhd with a Board of Directors as required under the ROC of Malaysia. The work continued and Reach Org expanded to operate a collaboration with Garden International School for a Street Feeding Programme and Education Programme for underprivileged kids and with SHEB, the social wing of Pemuda UMNO. Reach Org also established the White Ribbon Malaysia campaign and conducted CSR programmes on behalf of corporate bodies linked to its Street Feeding Programme. Reach Org also worked extensively with various Government Ministries and departments to raise awareness of the plight of the poor. In 2010 Reach Org applied to become a registered Charitable Society and NGO and this was granted. Reach Out Malaysia was born. Reach Out apart from Street Feeding Programmes, White Ribbon, Education Programmes and Awareness Campaigns established an Emergency Response Team which works in areas of natural disaster in Malaysia. It has also recently launched FUR (Feline Urban Rescue). Since early 2012 Reach Out commenced its humanitarian effort in Klang. We operate Monday to Friday inclusive in both Klang and Port Klang and currently distribute just over 200 packs of food each week. From its inception Reach Out has been totally voluntary. It has no premises, offices, or overheads, and all food, medicines and clothes distributed is through sponsorship. On average Reach Out currently distributes over 2,500 packets of hot and dry food, drinks, and clothes, toiletries and medicines each week and is on the streets every day of the week. Reach Out has never missed an operating day since its inception. In 2011 Reach Out managed to reintegrate 402 urban poor into employment by working with the corporate sector in Malaysia. 2nd Run 11.45pm Midnight Run – Pete Nicoll. Special Projects Run Leader- Mohd Zaidy. Currently Reach Out donates any excess sponsored goods that cannot be given on the street to a number of orphanages, and also works with other likeminded NGO’s in the fight to adicate poverty. 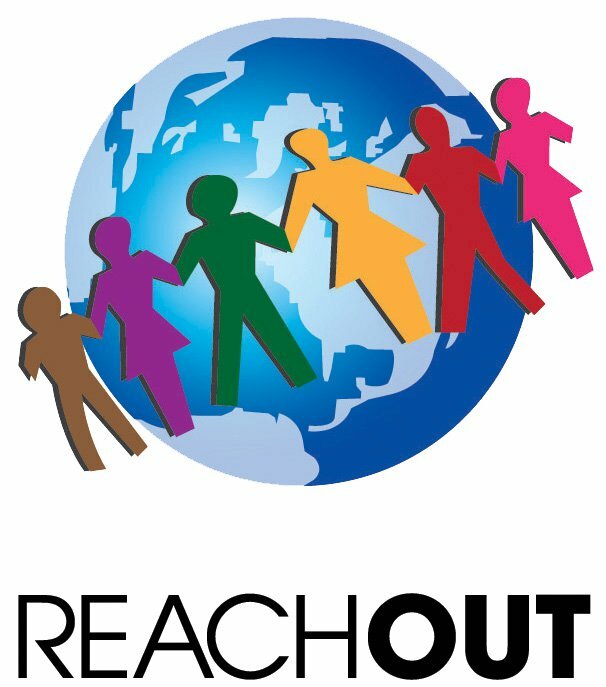 Reach Out acts as a conduit for those on the street to make contact with organizations who specialize in particular needs of those on the street, (women, children, the disabled, HIV victims, etc). Reach Out is clear in its vision and mission, to raise awareness of the issue of poverty and to take steps to eradicate such through its programmes and campaigns. Only through its volunteers and steering committee can we bring dignity back to the forgotten who inhabit the streets and doorways of Kuala Lumpur. The mission is to eradicate all poverty in Malaysia state by state and city by city. Reach Out is considered to be ‘The Frontline in the Fight To Eradicate Poverty’. If you are new and just found out about REACH OUT MALAYSIA , kindly please go through all our postings and activities and facts to have a better understanding on who we are and what we do. ‘TAK KENAL MAKA TAK CINTA’ – so get to know us first and this will avoid anyone asking the same questions over again. 8. TELL ME IN NOT SO MANY WORDS ON WHY YOU WOULD LIKE TO JOIN US AS VOLUNTEER. KINDLY BE PATIENCE WITH THE TIME TAKEN TO REPLY YOUR QUERIES AS WE CAN ONLY DO THIS OUTSIDE OF OUR WORKING HOUR AS ALL ACTIVE MEMBERS IN REACH OUT IS ON VOLUNTEER BASIS AND WE DO NOT HAVE ANY PAID STAFF. WE WILL ATTEND TO YOU ONE BY ONE THE BEST WE CAN. WE WOULD SUGGEST THAT YOU DO A ‘ TRIAL FOOD RUN’ WITH US TO UNDERSTAND THE SYSTEM , CULTURE AND THE HOMELESS FRIENDS WE HELP (This is to avoid Culture Shock or to find out if this work is suitable for you). – Once you have been on the road 3 times – formalised your participation by filling in Reach Out official form and we then will welcome you to our organisation with open arms. 4. GROUP CSR – (EITHER UNIVERSITIES OR CORPORATE COMPANIES) – this will fall under group categories – 5 or more people and proposal is to be sent to reachoutmalaysia09@gmail.com – REFER TO THE GROUP CSR DOCUMENT AS WELL. WE UPDATE OUR DETAILS ON THE FOOD RUN EVERYDAY – KINDLY CHECK THE INFORMATION YOU NEEDED ON OUR FACEBOOK FROM TIME TO TIME. TERMS AND CONDITIONS APPLY – WE HAVE THE RIGHT TO AMEND ANY OF THE ABOVE WITHOUT PRIOR NOTICE ACCORDING TO CIRCUMSTANCES. 1. Reach Out is a voluntary organisation. 2. We all have jobs/study/families but do this work when we can. Why? Because we can. 3. Many of us commit to regular operations as Run Leaders and many volunteers also commit to days when they are free. 4. Reach Out is homeless the same as the people we serve! Our registered office and where we store donated items is my business address. 5. We are a fully registered Charitable Society and NGO in Malaysia. 6. Our Committee are also volunteers and also conduct duties as Run Leaders. 7. In the five years since founding we have never missed a days scheduled operations even if there was only one volunteer. That is our commitment to eradicating poverty. 8. We are a non religious and non political organisation. 9. We work together with other likeminded organisations, commercial companies, universities in CSR programmes arranged by Reach Out. The Walk of Kindness tonight is led by Mustaqim Mhd Basir and the boys (Zarul and the Protes) Call him at 0193229343 if you want to join him at Masjid India. Weekdays food run is the best way to get to know our street friends and hear for yourself the reality of life. The learning benefit is for us actually to learn gratitude,humility and compassion. The very thing, if lacking will destroy a society. Weekdays food run is normally shorter and only cover one or two areas accordingly to the food we receive from sponsors. MONDAY…Tonights Frontline Walk of Kindness is with our Run Leader Hasif Hamid. Do call him at 0172997159 if you want to work with us tonight. Tonights meeting point is at Masjid India at 11.30pm. Thank you everybody for your kindness !! e) Objektif yang ingin dicapai melalui penyertaan projek ini. 9) Pengambilan gambar dibenarkan bagi tujuan terhad atau’ internal news’ untuk kolej atau company itu sendiri. Hanya dengan persetujuan golongan gelandangan yang tersebut (tidak boleh mengambil gambar mereka sesuka hati bagi memastikan tiada violation of rights. Oleh kerana masa adalan emas, kami ingin pastikan penyertaan group CSR sebaris dengan objektif kami iaitu menambah ‘lifespan’ dan’ value added’ kepada program kami supaya pemberian makanan sama-sama dilakukan oleh ahli-ahli masyarakat yang ingin menyertai kami. Bukan hanya sekadar keluar beramai-ramai tanpa ada tujuan tertentu dan tidak mengambil berat tentang apa yang berlaku. Bukan juga untuk ala kadar setakat untuk memenuhi program CSR kolej atau syarikat anda. 3) Kami berhak menolak penyertaan group anda sekiranya ia tidak memenuhi syarat-syarat yang telah ditetapkan. KAMI BERTERIMAKASIH YANG TIDAK TERHINGGA KEPADA GROUP-GROUP YANG PERNAH MENYERTAI KAMI SEBELUM INI DAN PRIHATIN DALAM MENGORMATI SYARAT-SYARAT YANG TELAH KAMI TETAPKAN. However, Pete and co founders Maple Keh and Bob Teasdale discovered appropriation of funds donated for feeding the homeless being distributed to the Buddhist Society and not to the Soup Kitchen by other members of the organisation and immediately resigned. Reach Out apart from Street Feeding Programmes, White Ribbon, Education Programmes and Awareness Campaigns established an Emergency Response Team which works in areas of natural disaster in Malaysia. From its inception Reach Out has been totally voluntary. It has no premises, offices, or overheads, and all food, medicines and clothes distributed is through sponsorship. On average Reach Out currently distributes over 2,000 packets of hot and dry food, drinks, and clothes, toiletries and medicines in urban Kuala Lumpur every day of the week, (except Thursdays). In 2010 Reach Out managed to reintegrate 402 urban poor into employment by working with the corporate sector in Malaysia. 11.45pm Midnight Run Pete Nicoll. Currently Reach Out donates any excess sponsored goods that cannot be given on the street to a number of orphanages, and also works with other like minded NGO’s in the fight to adicate poverty. Reach Out is considered to be the ‘Frontline in the Fight To Eradicate Poverty’.